After wrapping up a chaotic school year for summer break, like many teachers, I soaked up the sleep, alone time, and relaxation. But after just a few weeks, I was always bored, antsy, and going full blown stir crazy. Knowing this about myself, I was 100% nervous committing to be home with Reese full time. Even though she keeps me pretty busy during the day, there are times I get so tired of looking at the inside of my house. It's been three and a half months since Reese was born, and I'm no expert by any means, but these are the constants that have kept me feeling happy and refreshed when I wake up each morning. 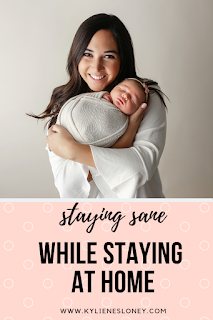 It is so easy to stay in your PJs all day when you're at home with a new baby - or to go until noon without brushing your teeth or your hair (fellow moms, you know it's true). I have to make time in the mornings to pull myself together. Even if Reese and I don't have any plans, getting dressed and putting on some mascara makes me feel 100% more like myself. I've traded in my business casual for athleisure, and I'm not complaining one bit! I spent one afternoon on google looking up different mom groups in my area, and I ended up choosing one through a local church. Reese and I go every Monday morning, and I look forward to it SO much (hello, adult conversation)! While all of the babies are in the church nursery, the moms meet over coffee, breakfast, and discussion about our kids, parenting, and marriage. It's been the best way to meet new friends, and I love having a network of moms I can talk to! I'm not going to lie - I am a staggeringly good Netflix binger. 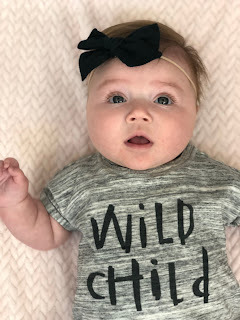 While breastfeeding Reese during her first month of life, I watched all 171 episodes of Vampire Diaries (so embarrassing, I know). Everyone has days when they need to be lazy, but nothing makes you feel more lethargic than spending every day on the couch. During Reese's naps, I try to balance my TV time with reading, writing, or running errands - get her in the car and she is passed out within minutes! Weather permitting, I walk with her every day! Not only is Reese so interested in her surroundings, I'm able to enjoy the fresh air and get some exercise. Some days it will be a quick 15 minutes; other days we'll walk the trails in our neighborhood for an hour listening to music or podcasts. I love taking Reese with me to restaurants (ask me again in 6 months, and the answer might be quite different). We'll make plans to have lunch with another stay at home mom, with a friend on their lunch break from work, or with Matt so he can get some mid-work day Reese time. Staying home with young babies is not all rainbows and butterflies each day, but in my opinion, the benefits far outweigh the negatives. I know as Reese gets older our options for daytime activities will only increase! Looking forward to playdates, going to the park, and all of the other fun in our future. 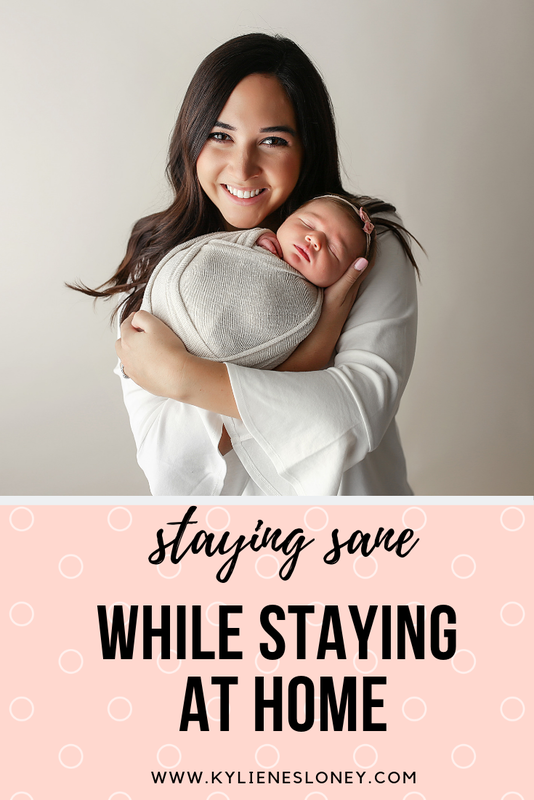 Are you a stay at home mom? How do you keep from going stir crazy in your house?